Catalant provides global enterprises with seamless access to the world’s best talent, on demand. 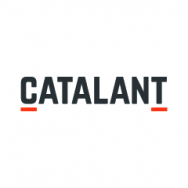 Catalant has built a global marketplace of 33,000+ independent experts, custom teams and boutique firms, as well as best-in-class software tools for engaging and managing this market. With Catalant’s technology platform, innovative organizations can now access the exact business expertise they need, when they need it. Based in Boston, Catalant serves thousands of clients, including more than 15% of the Fortune 1000. For more information, visit www.GoCatalant.com.